Agshare II was a collaboration with three institutions, Haramaya and Mekelle Universities in Ethiopia and Makerere University in Uganda. The aim was to create and openly share different types of OER that strengthen MSc agriculture faculty and curriculum and create downstream uses of the OER for other stakeholders. A further aim was to help institutionalise the Agshare methodology in the institutions. The Regional Universities Forum for Capacity Building in Agriculture (RUFORUM) came on board as a new partner in this phase, thus increasing the network in order to build on the success of the pilot phase of Agshare. Core to Agshare II objectives was the dissemination of agricultural knowledge, multimedia and the AgShare methodology to a wider community of practice. During the project targeted courses were revised in order to strengthen the curriculum on the basis of action research by postgraduate students and their supervisors. These courses were content reviewed by discipline experts at the Michigan State University and were reviewed for pedagogical appropriateness by Saide experts. Multimedia in the form of photographs and videos were generated through field work. community-wide partners within respective value chains. Students, faculty and staff participate in capacity-building workshops in participatory action research, pedagogical design, OER and media production skills. Student work is published in three ways: as OER multimedia learning packages for incorporation into degree programs; as information for farmers that is used for follow-up visits and extension materials; as research in masters and PhD theses and undergraduate student research. The OER are released in appropriate formats and widely disseminated leading to recognition for scholarship, teaching, research and extension. Beyene, Fekadu (2015). AN MSc Course Module for Agricultural Information and Communication Management Program. Gebremedhin, Tsegazab Gebrelibanos (2015). Module on Water Harvesting Systems (WRIM2112). Mekelle University: College of Dryland Agriculture and Natural Resources, Department of Land Resources Management and Environmental Protection (LaRMEP). Gelaw, Fekadu (2015). Institutional and Behavioural Economics (CAEC 510): A Module Prepared for MSc Students of Agricultural Economics. Haramaya University: School of Agricultural Economics and Agribusiness Management, Department of Agricultural Economics. Haji, Jema (2015). Module on Agricultural Marketing and Price Analysis. Haramaya University: School of Agricultural Economics and Agribusiness. Legesse, Belaineh (2014). Research Methods in Agribusiness and Value Chains (ABVM 552). Haramaya University: School of Agricultural Economics and Agribusiness, Agribusiness and Value Chains Program. Mammo, Yared (2014). Module on: Fundamentals of Agricultural Information and Communication Management (AICM 510). Regional MSc Program on: Agricultural Information and Communication Management (AICM). Haramaya University: College of Agriculture and Environmental Sciences, Department of Rural Development and Agricultural Extension. Yazew, Eyasu (2015). Module on Irrigation Agronomy (WRIM3092). Mekelle University: College of Dryland Agriculture and Natural Resources, Department of Land Resources Management and Environmental Protection (LaRMEP). Yousef, Jemal; Sokora, Alemu (2014). 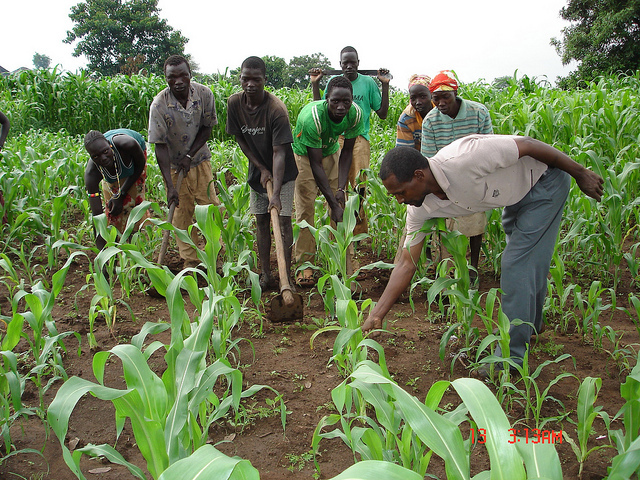 Module on Farming Systems and Rural Livelihoods (AICM 643): For Regional Masters Program in Agricultural Information and Communication Management (AICM). Haramaya University: College of Agriculture and Environmental Sciences, Department of Rural Development and Agricultural Extension. Analysis of Spatial Co-integration of Two Major Vegetable Markets in Eastern Ethiopia. Mekelle University: College of Dryland Agriculture and Natural Resources (2015). Practices on Approaches of Integrated Resources Management in the Case of Abraha Atsbaha Watershed. Tadesse, Alem; Gebrelibranos, Tsegazeab; Geberehiwot, Micheale; Mezgebu, Atinkut (2015). Characterization and Impact Assessment of Water Harvesting Techniques: A Case Study of Abreha Atsbeha Watershed, Tigray, Ethiopia. Yohanes, Meron (2015). Performance and Challenges of Vegetable Market: The Case of Kombolcha Distric, East Hararghe Zone, Oromia National Regional State, Ethiopia. MSc Thesis: Haramaya University School of Graduate Studies. Yohanes, Meron. 2015.‘Analysis of spatial co-integration of two major vegetable markets in Eastern Ethiopia’. Jemal, Y.H. 2015.The Potential of a Multimedia Open Educational Resource Module in Enhancing Effective Teaching and Learning in a Postgraduate Agricultural Program: Experience From AgShare Project Model. Journal of Asynchronous Learning Networks, Volume 17: Issue 2. Water Conservation in Dry land Tigray, Ethiopia.